Brilliant. Why did they have to do bad things to sweets though. I mean this book is so so good I recommended it to my 13 year old sister. I am not joking but this is my second favourite book and if you want to read this then I will tell you the story in my own words and don’t worry beacuse it isn’t very long …... Kirsty and Rachel go to a sweet shop they help a fairy called Honey and they go to fairyland,and basicly, bring back sweets …... did you like it? If you want to answer,write to me by writing to dolphin8 and write what you think! I like sweets so thats why I like this book. It was a very nice interesting fairy book. 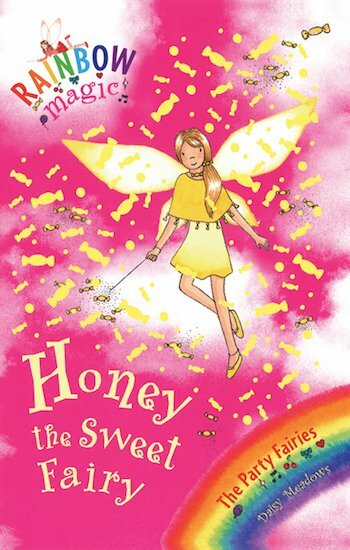 I liked the adventures that Kirsty and Rachel had with Honey the sweet fairy.